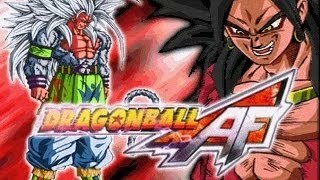 free download game dragon ball af mugen 2014 for pc – Direct Links – 1 link – Fast Link – 320 Mb – Working 100% . This game contains 37 characters and 10 stages. Only few characters are my edits but I also balanced some of them, added new English voices and new sprites and portraits. SPECIAL MOVES - Important! Must Read! Don't ask me for Special Moves and Combos! Energy Charge and transformations are usually two buttons pressed together (A+Q, A+S or S+W). It's rarely a single button. and also 'Down,Backward,Forward + Some Button' or 'Down,Forward,Backward + Some Button'. The best way to learn Special Moves is to go to TRAINING mode and practice.